In many forms of martial arts, the black belt symbolises a significant milestone in one’s training. It is typically representative of the student having achieved the schools standard for awareness and proficiency in the majority of the system. The black belt and Dan grading system is a relatively new system introduced by Jigoro Kano in 1883 for Kodokan Judo. This was then adopted by many of the other martial arts over the next few decades. Menkyo kaiden (免許皆伝? ), (めんきょかいでん) is a Japanese term meaning “license of total transmission.” It is a license that is used by a school, koryū meaning that the student has learned everything and passed all aspects of his/her training within the koryū. In the menkyo system of licenses, the menkyo kaiden is the highest level of license that exists under the menkyo system. Advancement of license is not determined by years spent learning, but how well one masters the discipline. However, the transition from menkyo to kaiden require usually at least thirty years’ experience. A holder of menkyo kaiden is often, but not always, the de facto successor to the sōke of the koryū. Given the traditional meaning of menkyo kaiden, and the level of mastery it pertains to, the black belt in Tsutsumi Jujutsu takes a long time to obtain with many years of practice and dedication. 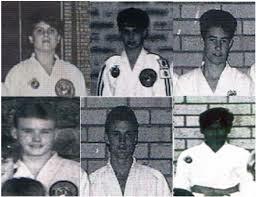 In addition, students are expected to be proficient teachers before they are awarded a black belt. Tsutsumi Jujutsu is world reknown for it’s comprehensive jujutsu system and proficient instructors and as a result this standard is something that it managed very closely within the club to ensure our jujutsu system continues with the high level of standard with the next generation of students. It takes years of regular training to become a black belt. There are several reasons for this. For one, you have to go through many belt grades starting with the basics grades including brown and white, followed by red and white and red. Subsequently the full reflex grades including yellow, blue, green, orange, purple, black and white, and finally, black. The full-reflex gradings start with around 20 odd different attacks and techniques gradually increase to around 120+ in black belt. The reflex method of grading, or “shinken shobu no kata” is a unique feature of our school and something that demands an extra level of self defence proficiency as all attacks are executed with the students back to the grading table with no awareness of the attack being received. This method of building “muscle memory” requires constant repetition to build the required response skills, but once learned will stay with you for many years. The skills that will be taught to you will be repetitive – and it is for a good reason. Repetition builds muscle memory, which enables you to make these skills second nature. You can only achieve this with discipline. This means that you have to practice the skills not only in the dojo, but also on your own. 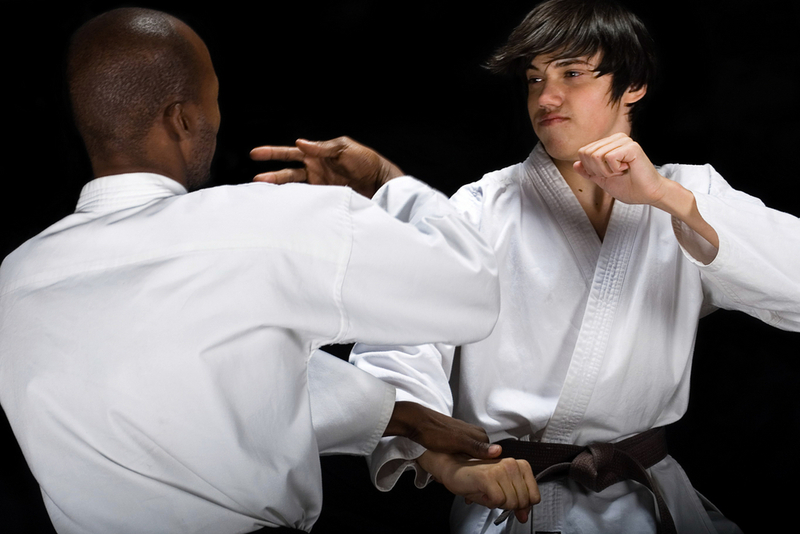 As all full-reflex gradings require students to not only be graded on the quality of technique execution, but response time and self defence capability an extra level of repetitive training is required. A high level of personal discipline is required to train at least 2-3 times per week to learn the physical skills prior to attempting a belt. It is of course a great honour to become a black belt in Tsutsumi jujutsu. However, it is an achievement that needs to be coupled with humility. Due to the length and complexity of Tsutsumi Jujutsu students tend to naturally develop humility by being constantly reminded that there is more to learn to perfect the technique and their associated attitude. This attitude is encouraged and respected in our school. That said, you have to use your skills not only to defend yourself but also to enrich the lives of others. This can be achieved by teaching and passing on your skills and knowledge to others. All in all, it takes more than just skill to become a black belt. In fact, a majority of what would make becoming a black belt possible is your attitude towards your training and the skills and lessons being taught to you. As long as you’re ready to work hard, be patient, and humble, achieving the black belt can be done, no matter how many years it takes you to get there. To get started on your journey with Tsutsumi Jujutsu, please contact us today for more details. What is Shotokan Karate and Why Should I Try It?